Printing books is what we prefer to do at Gildeprint. With many years of experience and a loyal and great team, we are able to combine the highest printing quality with an efficient and custome oriented process. Simply said: we make it as easy as possible for you. We tell you step by step what we need and what we are going to do. For this we use high-quality printing machines, to provide you a product that you are proud of! For over 35 years, we provide printed matter in all kinds of variants. From theses, to magazines, almanacs and lesson materials. Always with a lot of fun and passion. How Gildeprint has started, you can read below. 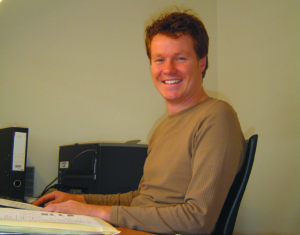 Next to his job as professor at the University of Twente, Ap Hendriks is responsible for the printing of post-graduate education printing matter. Through this way he came in contact with the printing industry. In the summer of 1980, Ap decides to start for himself. With a company named Febodruk. He becomes a real entrepreneur and in a short period Febodruk becomes a well known company in the region. 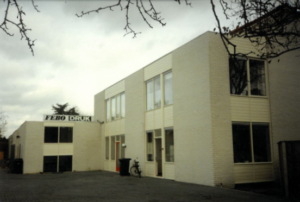 The building on the Blekerstraat, in the city centre of Enschede, soon became too small for Febodruk. There came a possibility to get a bigger building at the Javastraat. In this building is enough space for the machines, printing presses and there is room for an office. Because of health problems, Ap Hendriks transfers his company to his son, Peter Hendriks. Peter, at the time 21 years old, is waiting a great challenge. Full of enthusiasm he enters the company and has great plans. What do you think? 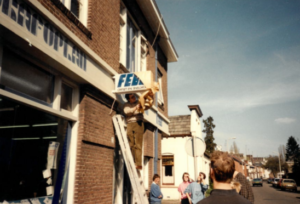 Does Febodruk reminds you of the famous Dutch snack chain? This is the reason Peter changed the name into Gildeprint. 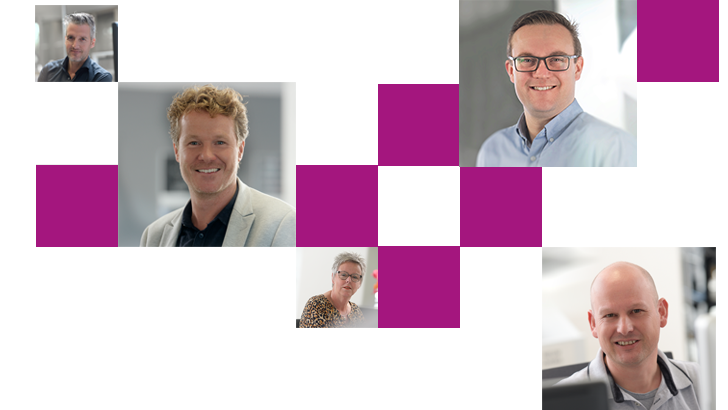 The name Gildeprint represents 'Gilde', which means 'an association of colleagues' (Van Dale) and of course what we do: printing. Next to printing theses, Gildeprint also provides other types of printed matter. From magazines and teaching materials to yearbooks and almanacs. Everything is possible. Together we work on a product that we are proud of. Our starting point is top quality at all levels! Our team consists of enthusiastic and motivated people with a passion for their profession. Thanks to years of experience, we have the knowledge and expertise to make the most beautiful printed matter together! Gildeprint helps you printing your thesis or other printed matter. From the preparation of your layout, the printing and the distribution. Together we make sure that this process runs smoothly and you are happy with the result. 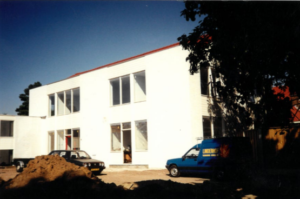 We are located in Enschede, but we work with customers throughout the country and beyond. We are an independent full-service printing company. Our prepress department works from our office that is directly connected with the printing area. Because of this we work with short lines and are we able to work efficiently. We use machines according to the most modern techniques to be able to get the highest printing quality! 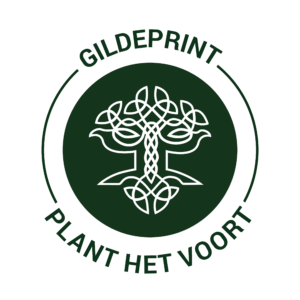 Gildeprint is ISO 9001 certified. 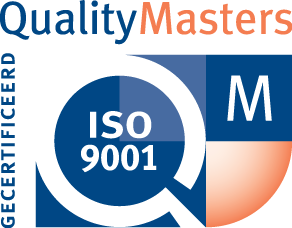 ISO 9001 is the international standard for quality management systems. With this certificate we show you that our processes comply with international standards and that we attach great value to continuous improvement. By passing the annual audit successfully, we know how to retain this quality mark. Ilse Schrauwers, the graphic designer we work together with, has the dream to inspire the graphic sector to plant more trees. And thereby making the world greener. We think it’s a fantastic idea. We plant one three per thesis order. Nice to know is that you can ensure that more than one tree is planted. In case you let us make the design for the cover and inside of your thesis as well, we will plant three trees. With the latests techniques and machines we guarantee the highest print quality. Partly because of this, we can offer a lifelong guarantee on the binding method. We believe fast delivery is important. After all, you do not want to wait too long. Customers rate us on average with an 8.7! We see the satisfactiion of our clients in an average of 8.7. We are proud of this!